Prokaryotic cells have a variety of structures within the cell. Some, such as the chromosome and ribosomes, are essential for the life of all cells. Others, such as plasmids, are optional but confer certain selective advantages. Storage granules, vesicles, and endospores are characteristic of only certain types of bacteria. The chromosome of prokaryotes resides as an irregular mass within the cytoplasm, forming a gel-like region called the nucleoid. Typically, it is a single, circular, double-stranded DNA molecule that contains all the genetic information required by a cell. If that circular molecule is cut to form a linear piece and extended to its full length, it is about 1 mm long, approximately 1,000 times as long as the cell itself! Chromosomal DNA is tightly packed into about 10% of the total volume of the cell. Rather than being a loose circle, it is typically in a twisted form called supercoiled, which appears to be stabilized by the binding of positively charged proteins (figure 3.43). Supercoiling can be visualized by cutting a rub ber band and twisting one end several times before rejoining the ends. The resulting circle will twist and coil in response. DNA replication and utilization of its encoded genetic information will be discussed in detail in chapter 7. Most plasmids are circular double-stranded DNA molecules. 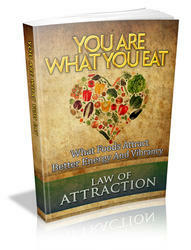 They are generally 0.1% to 10% of the size of the chromosome and carry from a few to several hundred genes. A single cell can carry multiple types of plasmids. A cell does not typically require the genetic information carried by a plasmid. However, the encoded genetic characteristics may be advantageous in certain situations. For example, many plasmids code for the production of one or more enzymes that destroy certain antibiotics, enabling the organism to resist the otherwise lethal effect of these medications. Because a bacterium can sometimes transfer a copy of a plasmid to another bacterial cell, this accessory genetic information can spread, which accounts in large part for the increasing frequency of antibiotic-resistant organisms worldwide. At the same time, excess genetic information can be disadvantageous to a cell, slowing its multiplication. Occasionally, a cell will divide without evenly distributing its plas-mids, giving rise to one cell that lacks a plasmid. If that cell can multiply faster as a consequence of losing that plasmid, and that plasmid is not essential to viability in that environment, then progeny of the cell will eventually predominate. Thus, populations can gain and lose plasmids. In the laboratory, cells can be grown under conditions that increase the likelihood that a plasmid will be lost. The resulting population has been cured of the plasmid. Figure 3.44 The Ribosome The 70S ribosome is composed of 50S and 30S subunits. 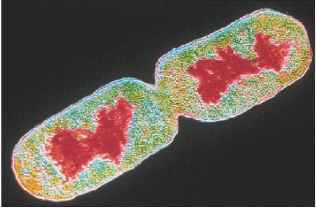 Figure 3.43 The Chromosome (a) Color-enhanced transmission electron micrograph of a thin section of Escherichia coli, with the DNA shown in red. (b) Chromosome released from a gently lysed cell of E. coli. Note how tightly packed the DNA must be inside the bacterium. The relative size and density of ribosomes and their sub-units is expressed as a distinct unit, S (for Svedberg), that reflects how fast they move when they are spun at very high speeds in an ultracentrifuge. The faster they move toward the bottom, the higher the S value and the greater the density. Prokaryotic ribosomes are 70S ribosomes. 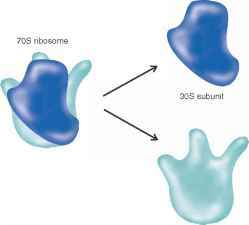 Note that S units are not strictly arithmetic; the 70S ribosome is composed of a 30S and a 50S subunit (figure 3.44). Prokaryotic ribosomes differ from the eukaryotic ribo-somes, which are 80S. Differences in the structures serve as targets for certain antibiotics, which preferentially bind to the 70S ribosome and thus inhibit protein synthesis in bacteria. Storage granules are accumulations of high molecular weight polymers, which are synthesized from a nutrient that a cell has in relative excess. For example, if nitrogen and/or phosphorus are lacking, E. coli cannot multiply even if a carbon and energy source such as glucose is plentiful. Rather than waste the carbon/energy source, cells use it to produce glycogen, a glucose polymer. A single large molecule such as glycogen has little osmotic effect on the cell. Later, when conditions are appropriate, cells degrade and use the glycogen granule. Other bacterial species store carbon and energy as poly-^-hydroxybutyrate (figure 3.45). This microbial compound is now being employed to produce a biodegradable polymer, which can be used in place of petroleum-based plastics. As a general rule, only one type of storage granule is produced by a given organism. Some types of granules can be readily detected by light microscopy. Volutin granules, a storage form of phosphate, stain red with blue dyes such as methylene blue, whereas the surrounding cellular material stains blue. Because of this, they are often called metachromatic granules (meta means "change" and chromatic means "color"). Bacteria that store volutin are beneficial in wastewater treatment because they scavenge phosphate, which is an environmental pollutant. Some aquatic bacteria produce gas vesicles, small rigid protein-bound compartments that provide buoyancy to the cell. Gases, but not water, flow freely into the vesicles, thereby decreasing the density of the cell. By regulating the number of gas vesicles within the cell, an organism can float or sink to its ideal position in the water column. For example, bacteria that use sunlight as a source of energy float closer to the surface, where light is available. 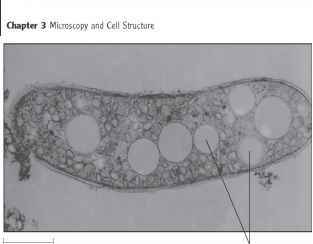 Figure 3.45 Storage Granules The large unstained areas in the photosynthetic bacterium Rhodospirillum rubrum are granules of poly-^-hydroxybutyrate. (figure 3.46). The structures may remain dormant for perhaps 100 years, or even longer, and are extraordinarily resistant to damaging conditions including heat, desiccation, toxic chemicals, and ultraviolet irradiation. Immersion in boiling water for hours may not kill them. Endospores that survive these treatments can germinate, or exit the dormant stage, to become a typical, actively multiplying cell, called a vegetative cell. The consequences of these resistant dormant forms are far-reaching. Because endospores can survive so long in a variety of conditions, they can be found virtually anywhere. They are common in soil, which can make its way into environments such as laboratories and hospitals and onto products such as food, media used to cultivate microbes, and medical devices. Because the exclusion of microbes in these environments and on these products is of paramount importance, special precautions must be taken to destroy these resistant structures. 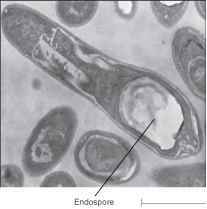 Figure 3.46 Endospores Endospore inside a vegetative cell of a Clostridium species (TEM). unrelated microorganisms such as fungi. Bacterial endospores are much more resistant to environmental conditions than are other types of spores.